The House At Charles Bridge is an integral part of the picturesque island of "Kampa," which is itself part of Prague's historical quarter "Mala Strana" (the Lesser Town). You can sense the rich history inherent in every corner of this little island, and enjoy its peaceful romantic atmosphere. The House At Charles Bridge is an integral part of the picturesque island of "Kampa," which is itself part of Prague's historical quarter "Mala Strana" (the Lesser Town). 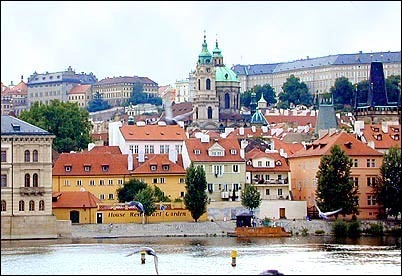 You can sense the rich history inherent in every corner of this little island, and enjoy its peaceful romantic atmosphere which has remained almost untouched by the tourist industry.Besides all the principal sights of Prague, within walking distance of the hotel, you will find nearby a restful park and many garden restaurants, beer houses and bistros. 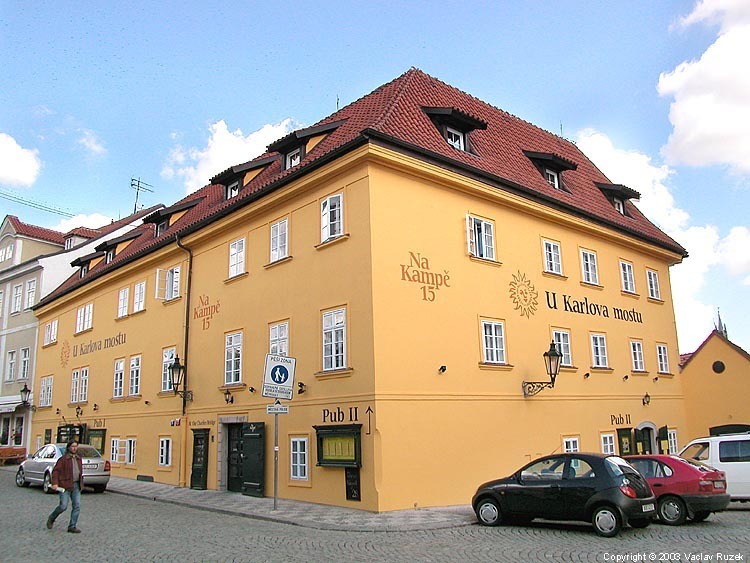 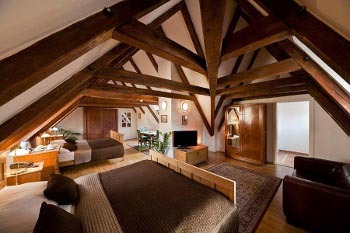 The history of the building dates back to the 15th century, when one of the first beers in Prague was brewed. 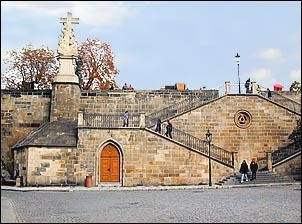 The paths of people living in Prague as well as those living far away crossed in this famous brewery. 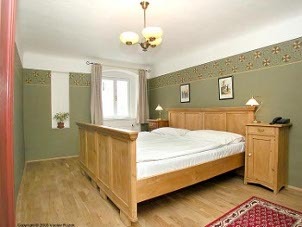 The house, which consisted of two separate buildings, is nowadays a preserved historical monument. 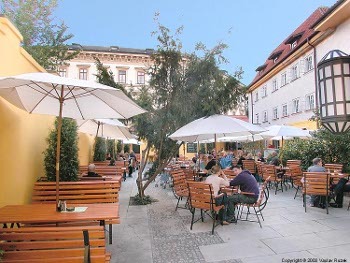 The historical atmosphere of the building was revived by reconstruction which was completed in 1998. 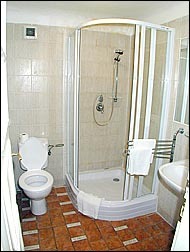 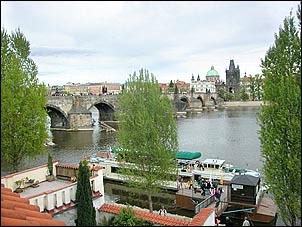 In 2002 the hotel was unfortunately considerably damaged by the flood in Prague. 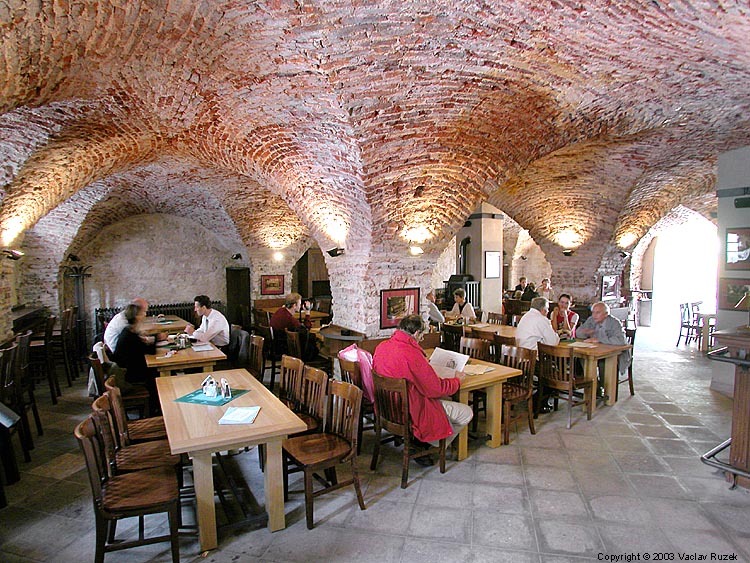 Now it is reopened again from May 2003 after complete reconstruction of the ground floor and a partial reconstruction of the three upper floors. 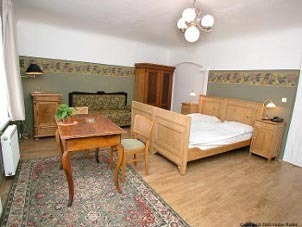 All rooms are furnished with original pieces of beautiful period furniture but offer every comfort of the present time: colour cable TV, minibar, safe, direct dial telephone, bathroom with bathtub or shower and toilet. 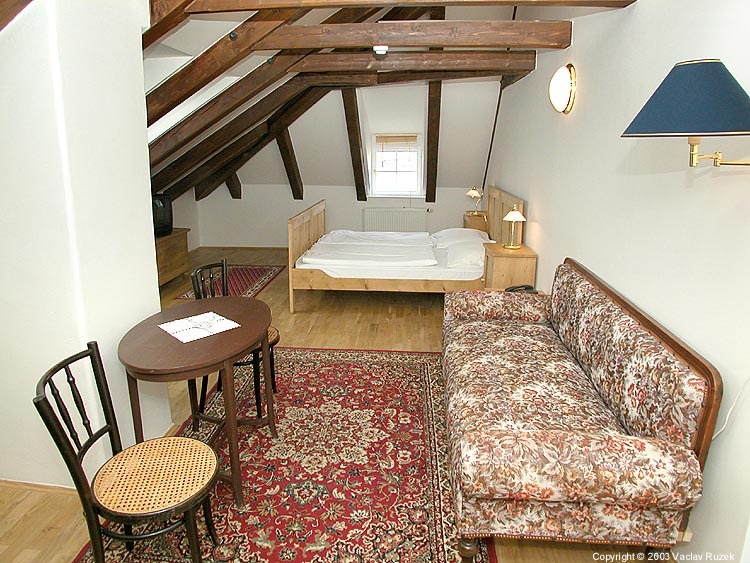 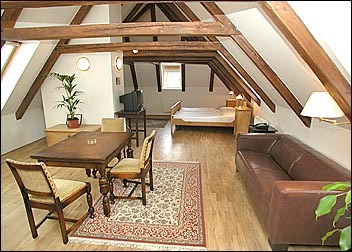 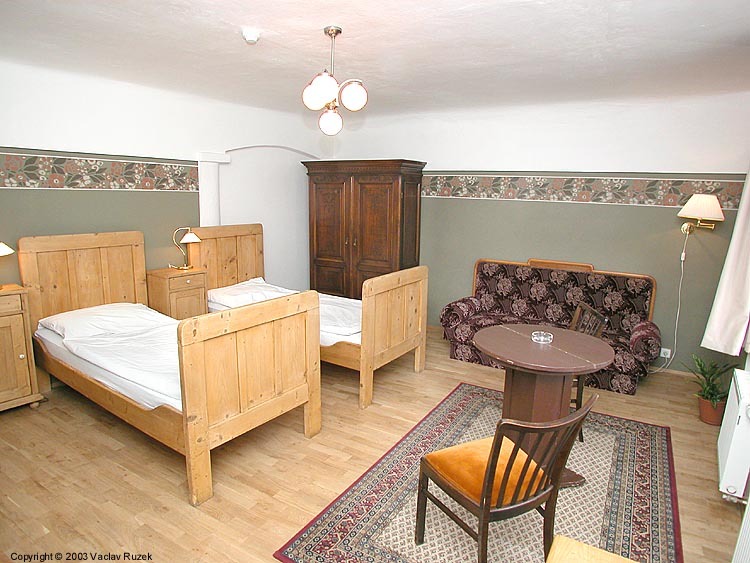 The attic rooms are also equipped with air-condition. 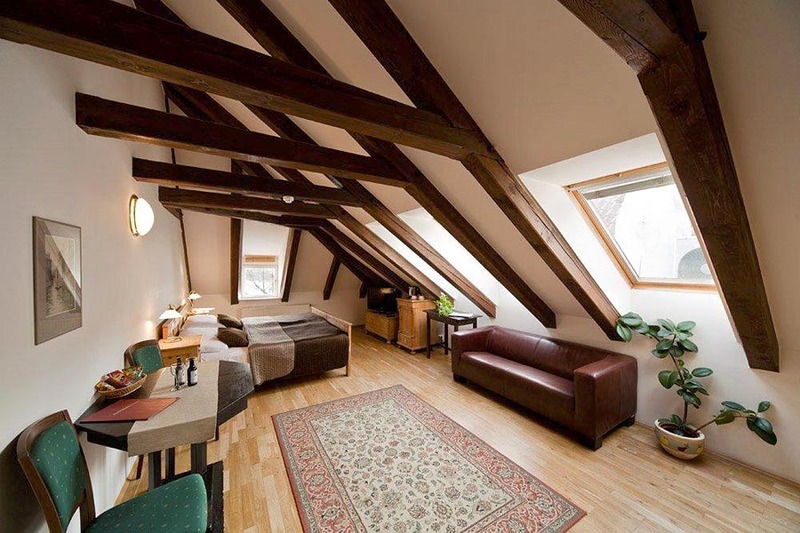 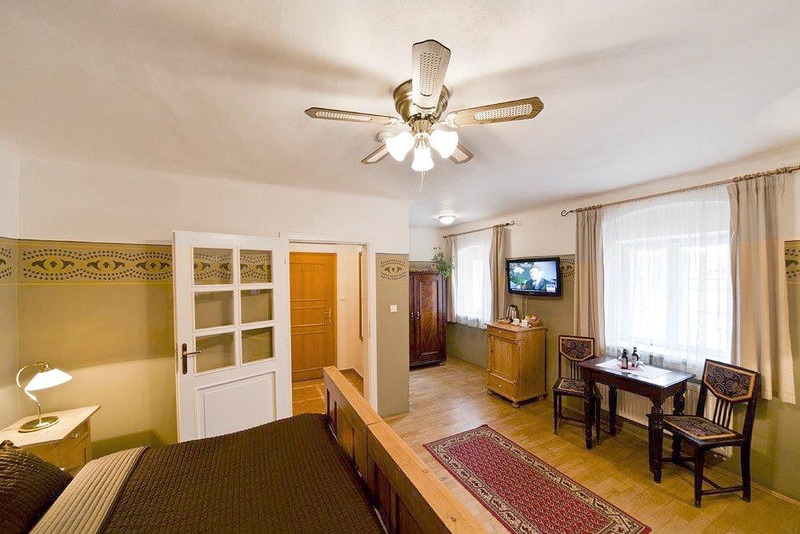 A half of the rooms offers a view of the Charles Bridge and the landing-place of Vltava boats - the surcharge for "River View" rooms is 15 EUR room/night. 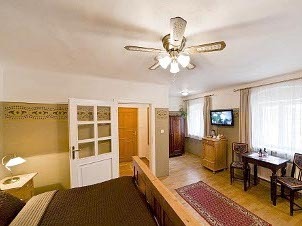 Extra charge for rooms "Deluxe" with air conditioning on the third floor (6 rooms) is 30 EUR room/night. Old-time Czech brasserie with good beer, classic Czech cuisine and unforgettable historic atmosphere. You will best enjoy all wines in our flowering garden with a garden grill. 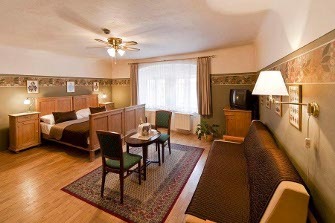 We offer 15% discount for reservations prepaid 14 days or more in advance - rate Advance Purchase. Children under 3 years stay free of charge (without breakfast and bed). 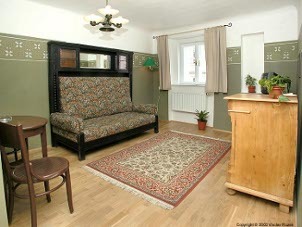 Children 4-12 years 50% discount. 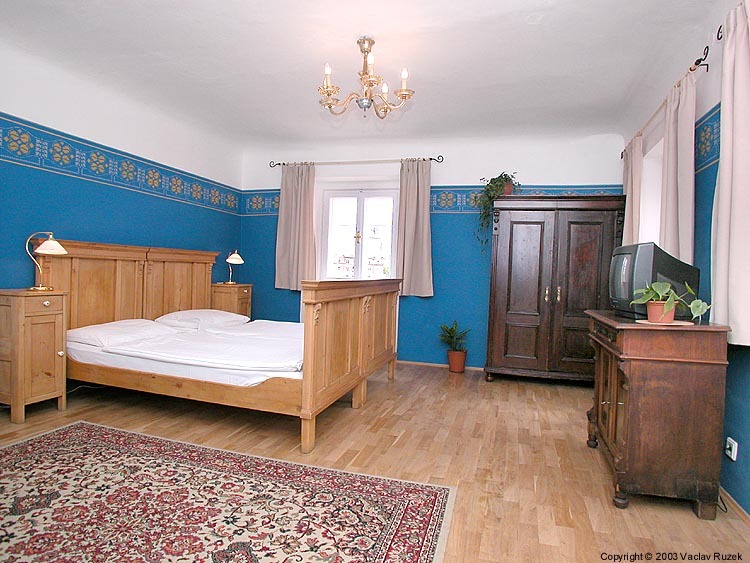 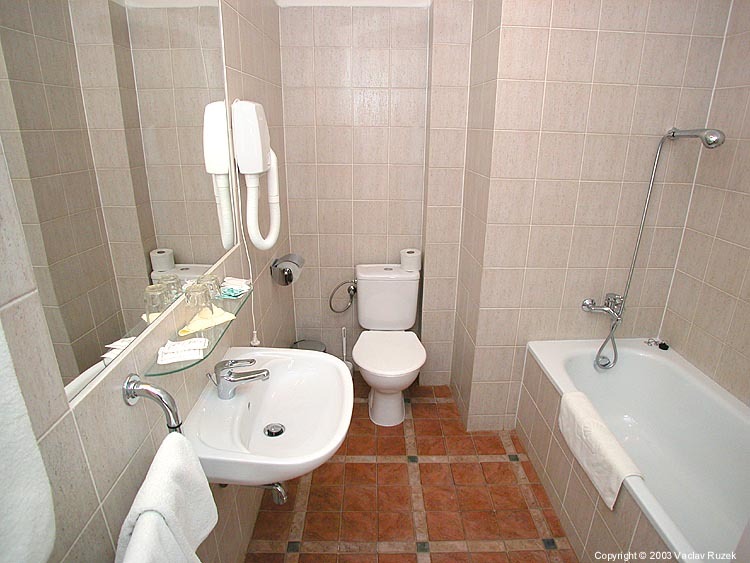 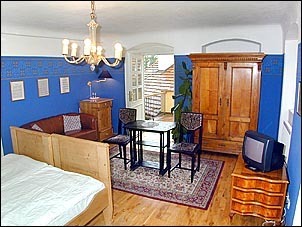 and for rooms "River View" with view of the Charles Bridge is approximately 30 EUR room/night.